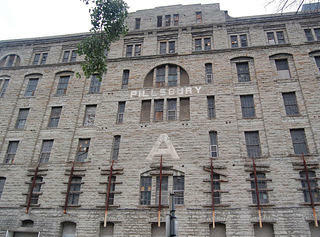 Long before the Pillsbury Dough Boy became an advertising icon, the company founded by Charles Alfred Pillsbury was known for its state-of-the-art Minneapolis flour mill complex on the banks of the Mississippi River. A masterpiece of industrial architecture, and the largest and most advanced facility in the world at the time of its completion in 1881, the Pillsbury “A” Mill Complex set a new standard in both production and design. Pillsbury “A” Mill Complex includes several structures and an extensive system of headraces, tailraces, and drop shafts that generated power for the entire complex. The complex, a National Historic Landmark, is located within the locally- and nationally-designated St. Anthony Falls Historic District and the Mississippi National River and Recreation Area. The mill closed in 2003, and a local developer acquired all of the buildings and the surrounding site for a mixed-use complex that would couple historic rehabilitation with new construction. 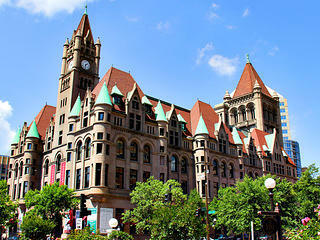 The developers worked closely with city officials on a creative plan that, though controversial, was eventually approved by the City of Minneapolis. Before construction could begin, however, the project financing failed, and in the fall of 2010, the property was foreclosed upon. 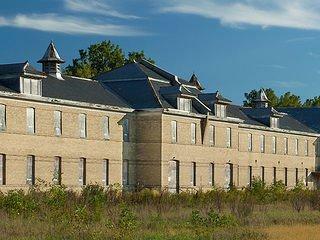 The Pillsbury "A" Mill Complex was included on the Trust's 11 Most Endangered Historic Places list for 2011.